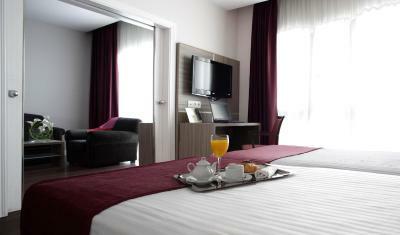 Lock in a great price for Hotel Serrano by Silken – rated 8.4 by recent guests! Very nice location and friendly, easygoing staff. Check-in was quick and simple, as was check-out. The bed was comfy and the linens were fresh and soft, even though you could tell they had been used before, they are very well maintained. WiFi worked perfectly. Thanks for a very relaxing weekend! Beautiful decor and a lovely, spacious room with a super comfortable bed. Staff were extremely friendly.and helpful. 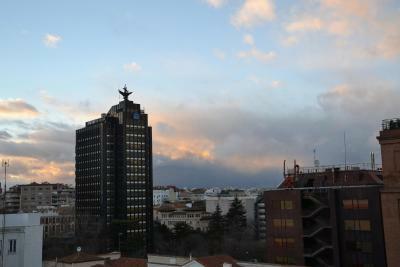 Hotel is located in the nice area of Madrid with a Corte Ingles right next to it and a metro stop nearby. The staff was very friendly and helpful! Recommended! This hotel is situated in the heart of Barrio de Salamanca, Madrid with a number of luxury shops , including Corte Ingles, and restaurants, café shops and tapas bars nearby. You can enjoy a really nice walk around. Overall and although the stay was just for one night, the experience was really good. Quick check in and check out , good sized room and a double bed to go with. Clean and big bathroom, a nice veranda and fantastic and helpful service from the people in the Reception desk. Wake up call was done on the time agreed, taxi (ordered from the reception) was there even slightly earlier (05:00 in the morning) and no complaints at all. Hotel Serrano by Silken This rating is a reflection of how the property compares to the industry standard when it comes to price, facilities and services available. It's based on a self-evaluation by the property. Use this rating to help choose your stay! One of our top picks in Madrid.Located in the Salamanca district of Madrid, Hotel Serrano by Silken is 1,300 feet from Rubén Darío Metro Station. 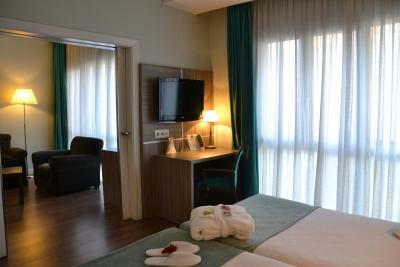 The stylish rooms include a flat-screen TV and air conditioning. 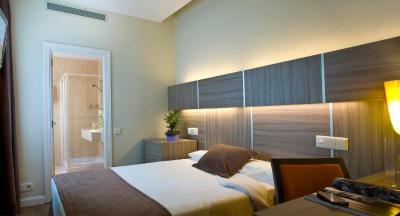 Hotel Serrano by Silken is next to the city’s fashionable shops on Ortega y Gasset Street. 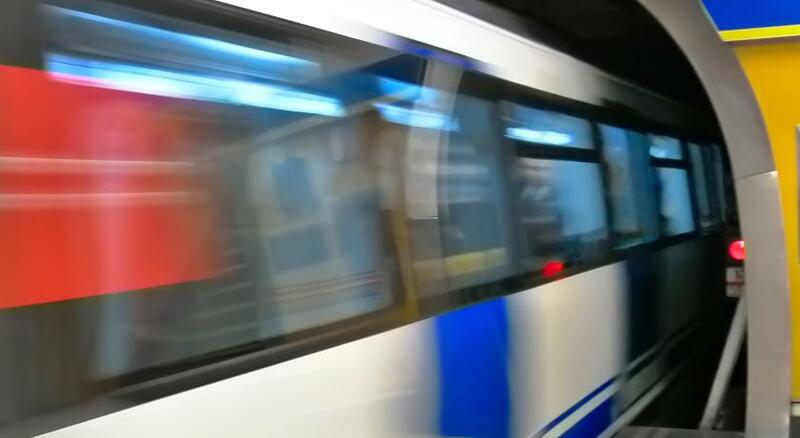 It is a 15-minute walk to Plaza Cibeles and the Retiro Park. The hotel is well-connected with the center by bus. A buffet breakfast is served in the hotel’s breakfast room and room service is available for an additional charge. There is also a bar and staff at the 24-hour reception can recommend nearby restaurants. When would you like to stay at Hotel Serrano by Silken? 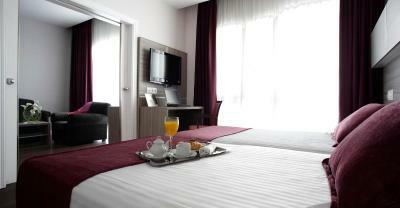 This elegant room features one single bed and comes with a flat-screen satellite TV, minibar and safe. The bright bathroom includes a hairdryer. This spacious room has a separate lounge area. This elegant room features one double or 2 single beds (subject to availability). 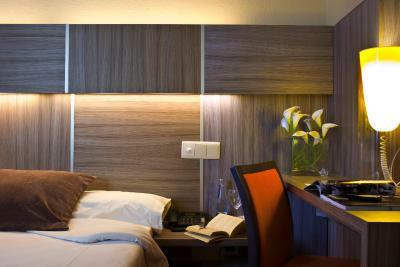 In-room amenities include a flat-screen satellite TV, minibar and safe. The bright bathroom includes a hairdryer. House Rules Hotel Serrano by Silken takes special requests – add in the next step! Hotel Serrano by Silken accepts these cards and reserves the right to temporarily hold an amount prior to arrival. In our room the shower water controls were kind difficult to manage from outside the tube. Decoration is quite restrained, also I could hear people in the nearby rooms. Plenty of amenities in the bathroom, breakfast was great and the bed was really comfy. 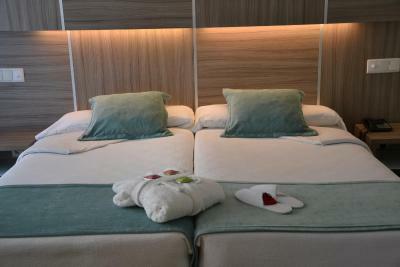 The rooms are big and very comfortable, the location is espectacular, service excellent! La entrega de llaves del parquing concertado. En general un hotel que cumple espectativas. Tea and coffee facilities were lacking in our room and this would have made an enormous difference to our trip. Rooms were spacious and very clean. Excellent customer service, professional , friendly and helpful. the bed, horrible pillows. Needs renovation of the rooms. Mattress was lumpy - I could feel all the springs so it was uncomfortable. The doors to the stairwell were left open at night which meant the noise of people talking echoed all the way up to the top floor. The bar was not really open and the bar staff were not interested in serving. As I was too tired from travelling to go out, I sat in my room. Would have been nice to use a quiet bar area and not have to listen to loud football. No curtains on bathroom window so I felt on display when the light was on. Location was great for my meetings next day. Shower was good strength. Room was good size with natural light and a desk to work at. Easy to log on to wifi. Overall, the hotel is good but somethings look old. Good breakfast, good location and cosy small hotel. Th staff has been very helpful. They ordered a taxi for me and they printed out my boarding pass. I had a superior room instead of a sigle room. Not completely clean.There was hair all around the bathroom sink and quite a few dust balls behind the door.